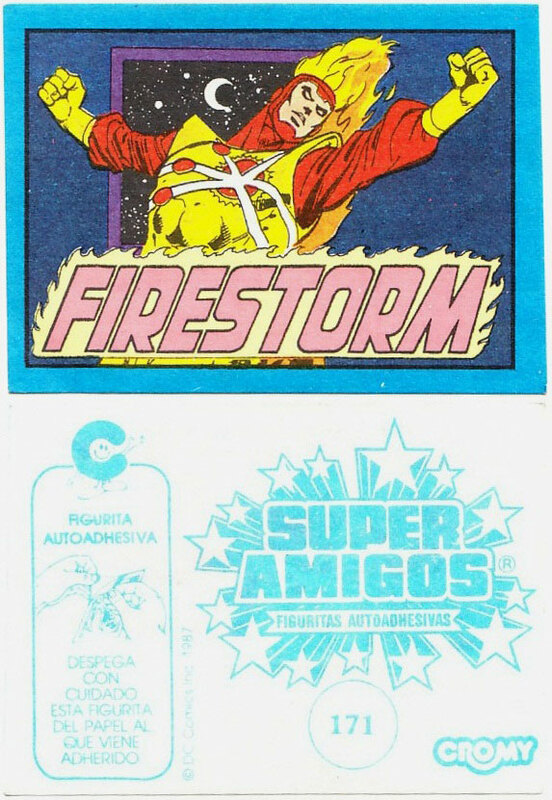 ¡Firestorm, el hombre nuclear, de los Super Amigos! 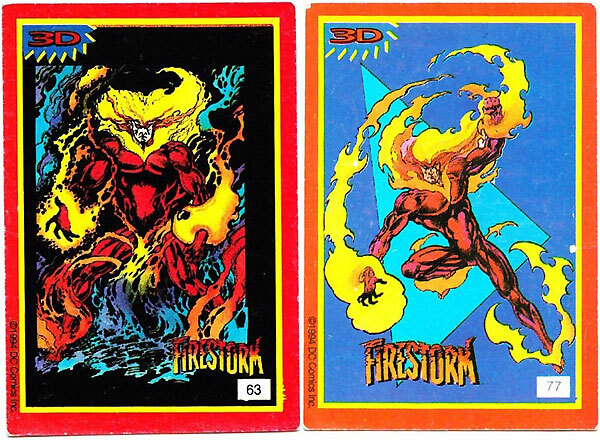 Our good friend Jon over at the Fizzit Firestorm-themed blog sent scans of these unique Firestorm collectibles. He received the following cards from Argentina. 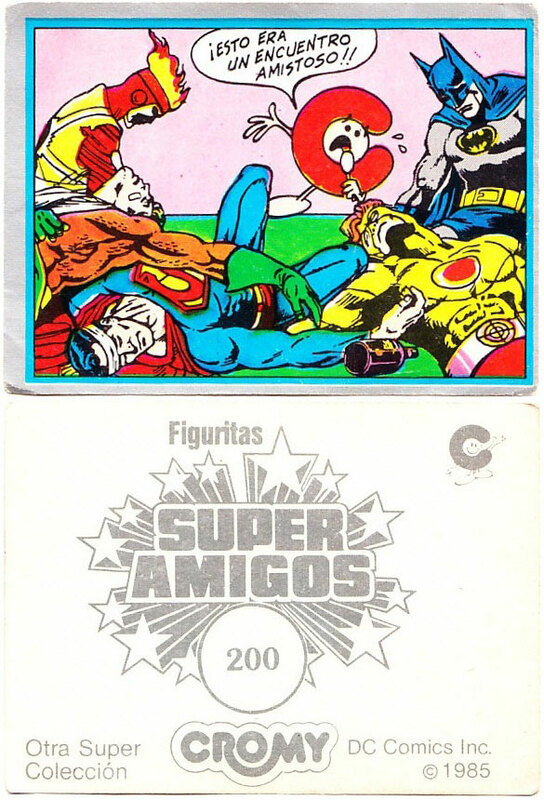 The majority of these come from the Spanish-language version of Kenner’s Super Powers line, Super Amigos. 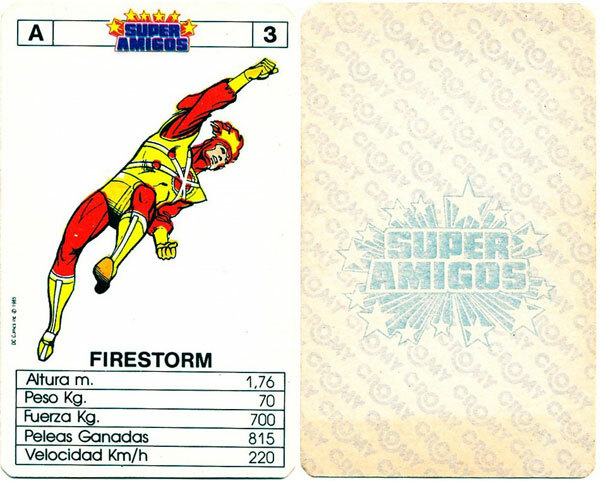 This first one is a trading card from the Super Amigos game. 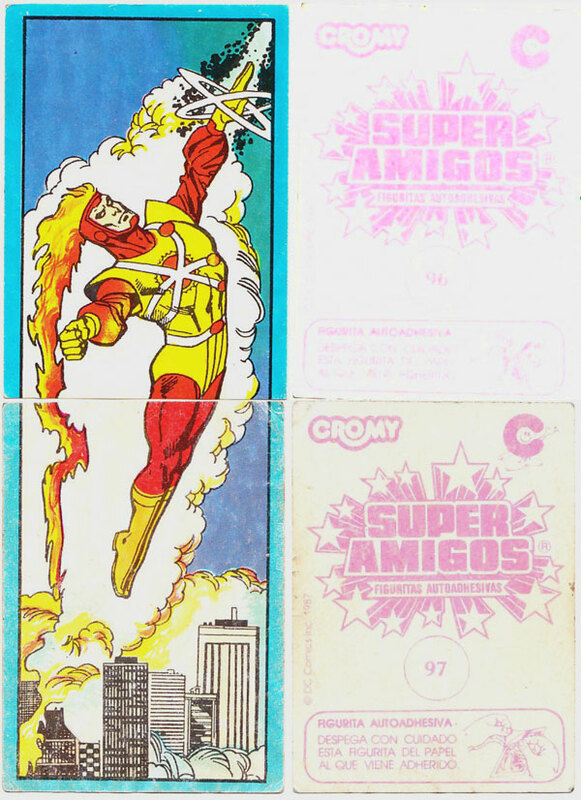 To see all the cards in the Super Amigos card set, please visit the Aquaman Shrine by clicking here. 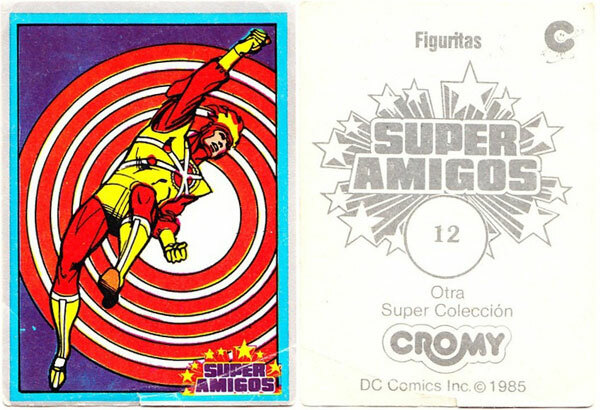 The next five are stickers associated with the Super Amigos line. It appears these were produced from 1985 through 1987. This last sticker uses specialized ink that really is intended to be viewed under blacklight. These next ones come from some Superman-related set. This set was released in 1994. Nice to see the Elemental Firestorm getting some merchandise action! 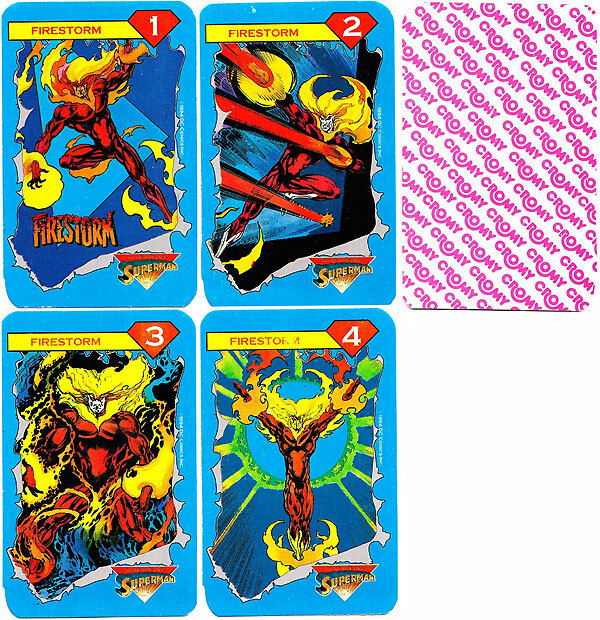 Here are some Firestorm stickers from that same 1994 Superman series. 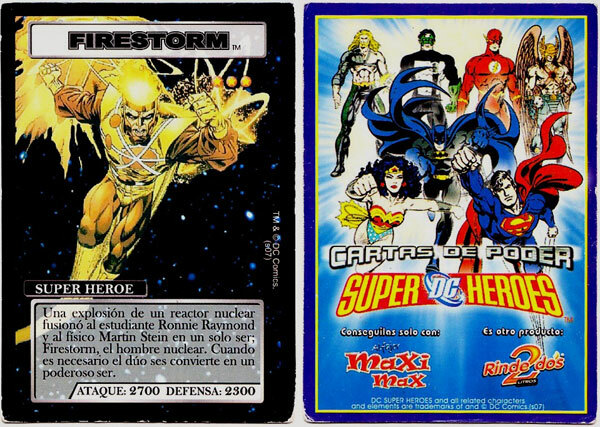 These next two come from a set entitled “Cartas de Poder – DC Super Heroes”. 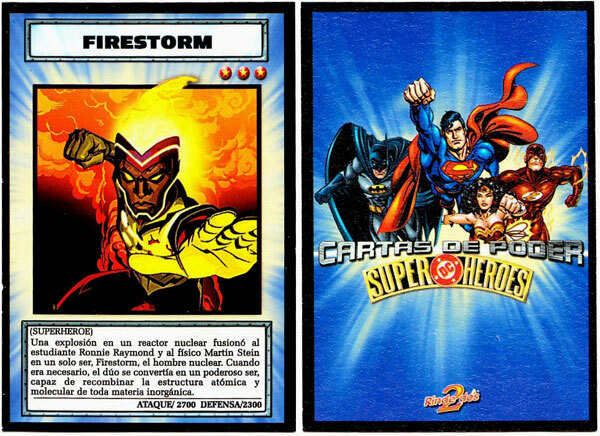 I really don’t know anything about these sets, but I love that they called Firestorm “el hombre nuclear”. Also, he’s got an attack of 2,700 and a defense of 2,300! I have no idea what the scale is, but that sounds impressive! 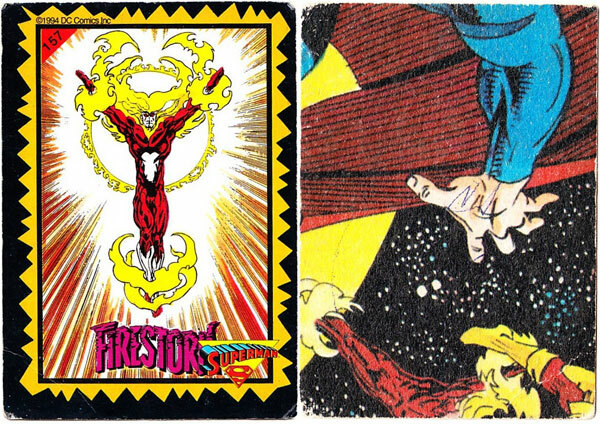 Once again, our thanks to Jon from the Fizzit Firestorm-themed blog for supplying these images. 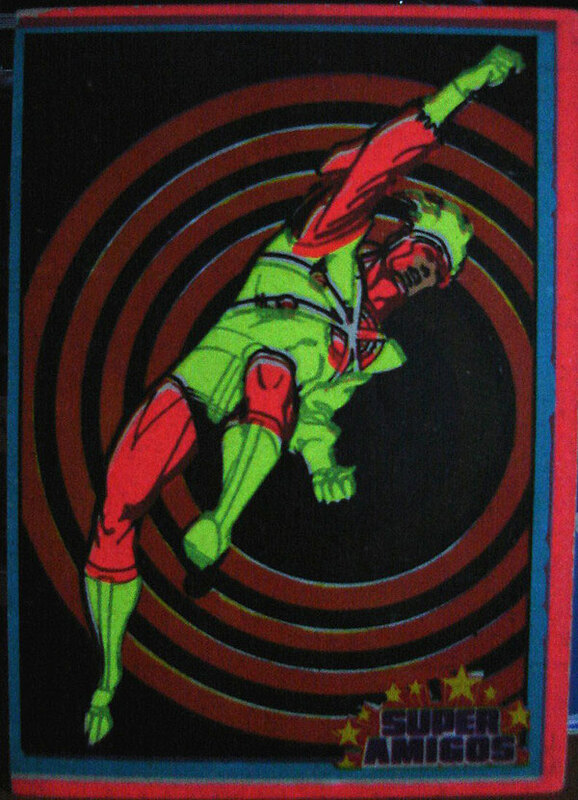 Apoyo Firestorm! Avivar la llama! Posted in: Firestorm #01: Original (Ronnie/Martin), Firestorm #03: Elemental I (Ron/Mikhail/clone), Firestorm #07: Jason post-Infinite Crisis, Foreign Language, Super Powers Collection, Trading Cards. These are swell! I wish I had more of these myself, but I only have a couple of “Cartas De Poder” power cards, Poder and Lucha. I wasn’t aware there were character cards available in that set. D’oh! I got one of those cards via ebay, the rest were via email contact as he found them. Could be worth hitting him up if there’s something you’re after, he’s good to deal with and I’ve had around 5 deliveries from him with no problems.